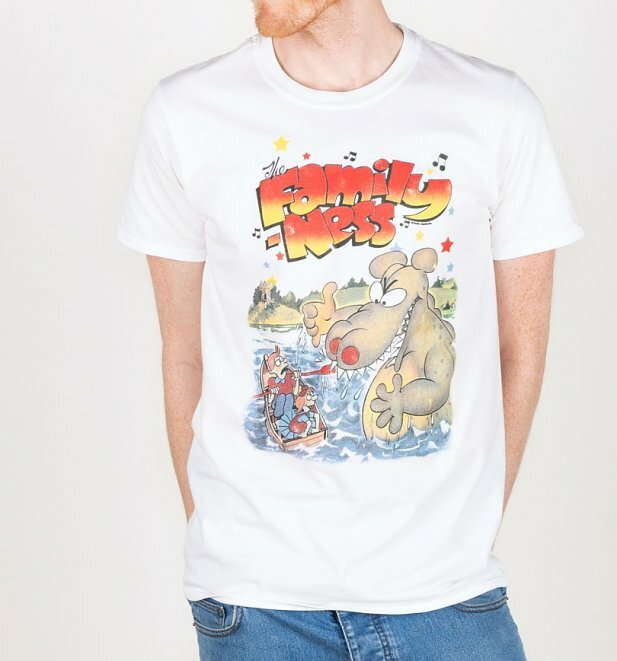 You Can Knock It, You Can Rock It… Exclusive Family Ness T-Shirts Now In! Talk about a blast from the past! From the depths of Loch Ness, we’re welcoming the legendary MacTout family and of course the mighty Nessies to our collection with these exclusive new Family-Ness TShirts! From the very moment we first heard the pumping tune from Mr. MacTout’s bagpipes, we were HOOKED! When Angus and Elspeth sound their thistle whistles, you know things were about to get pretty interesting! Packed with large helpings of nostalgia, our latest designs are sure to hit the spot with any fan of this total 80s classic. Just looking at these designs has the theme tune playing in our heads on a loop! Need reminding? Check out the full intro over on our YouTube > The Family-Ness Intro. Grab yourself one of these wee beauties only at TruffleShuffle and start spreading the classic cartoon love!